The equation is a proof for life in Torrington. 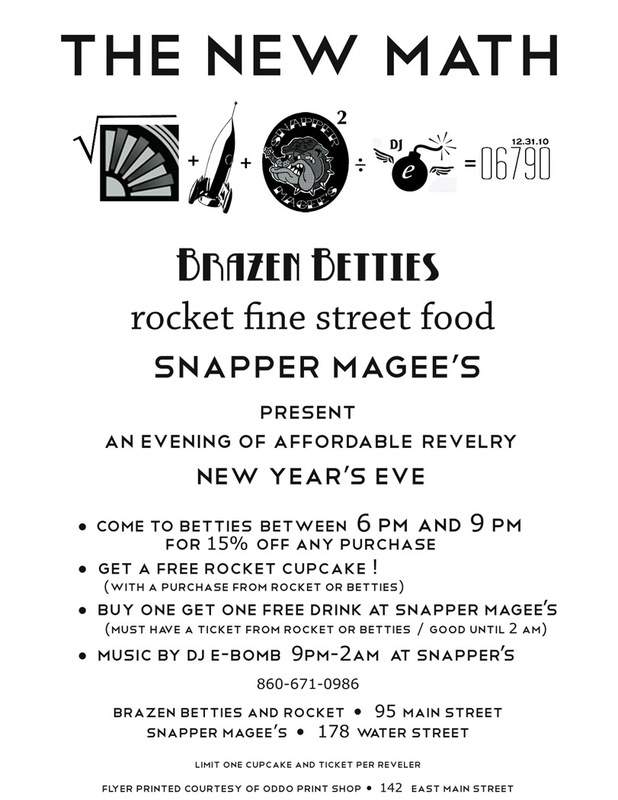 The rocket will be parked at Brazen Betties (95 Main Street) from 6:00 to 9:00 pm and then move on up to Snapper Magee’s (178 Water Street). The drink ticket will also get you 15% off a printing order at the Oddo Print Shop . . . good all through next year! Keep It Local ! This entry was posted in Events, Local, Mission Status. Bookmark the permalink.